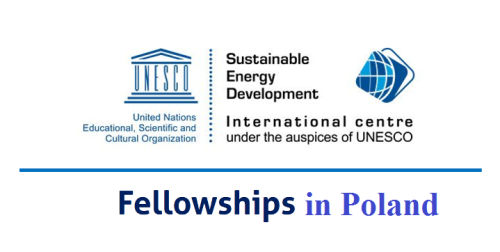 Brief Description: Applications are invited for 40 UNESCO/POLAND Co-Sponsored Research Fellowships for applicants from Africa, Arab states, Asia and the Pacific, Europe, Latin America and Caribbean. Fellowships will be given to undertake an individual research programme in the field of Science, Technology and Engineering. Fellowships are awarded in the field of Science, Technology and Engineering. Eligible Regions: Students from Africa, Arab States, Asia and the Pacific, Europe, Latin America and Caribbean can apply for these UNESCO fellowships. Now that all the information about UNESCO Fully Funded Fellowship Program in Poland has been delivered nicely; talented students who are eager to pursue their Free Tuition/Scholarships/Study/Fellowship Poland for Undergraduate, Bachelors, Postgraduate, Masters, PhD, Associate Degree and Other Degrees, can apply now. Labels: Fellowship, Poland Scholarships, Scholarship.